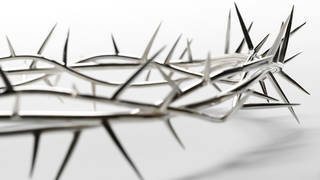 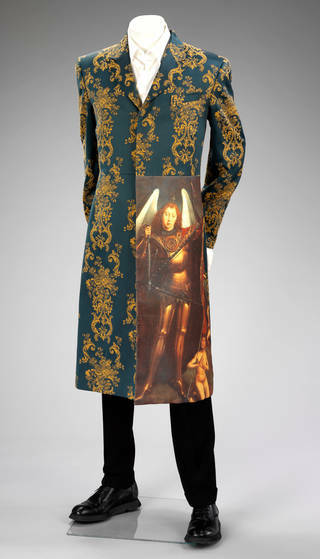 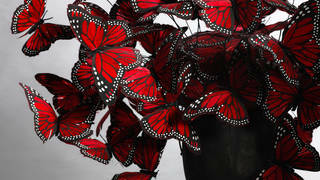 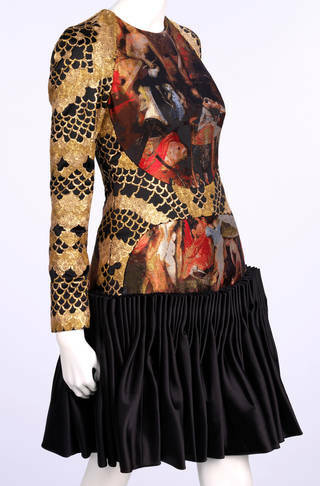 This unique collection features standout pieces of menswear and womenswear, jewellery and accessories from throughout Alexander McQueen's celebrated career, reflecting the V&A's rich and long-lasting relationship with McQueen and his work. 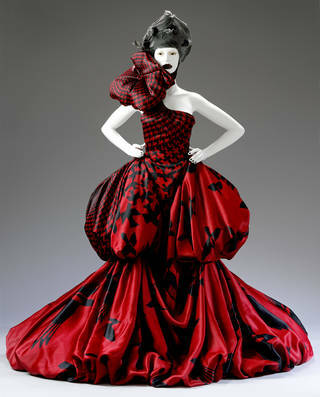 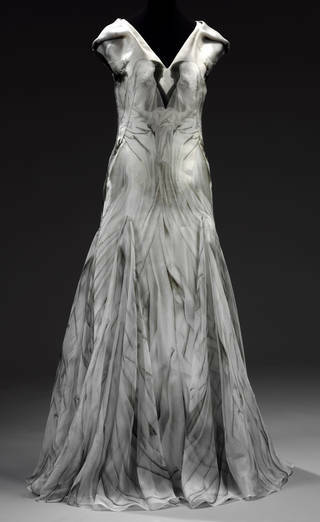 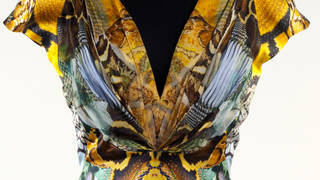 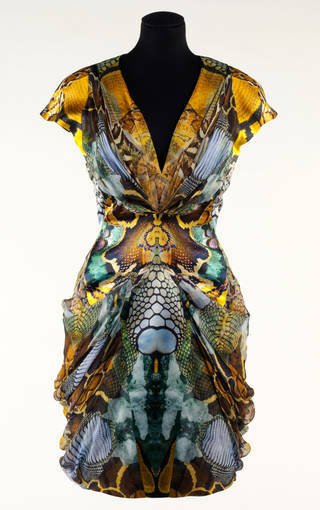 Lee Alexander McQueen (1969 – 2010) is one of the most revered designers of the late 20th and early 21st centuries. 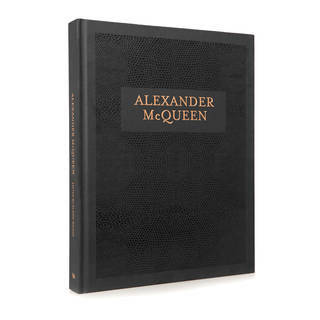 The McQueen pieces in our collection mirror his varied fascinations – from nature to historicism – and reveal the designer's masterly combination of artistry and technical expertise. 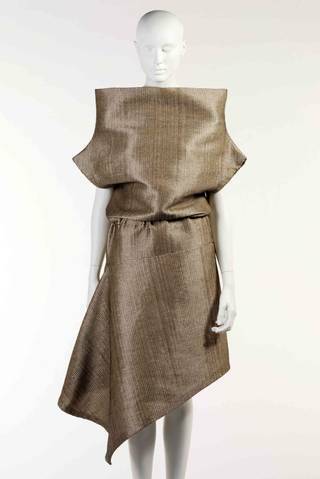 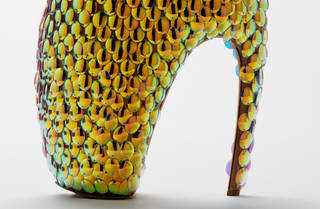 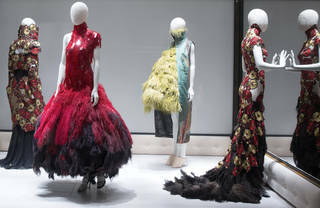 During his lifetime, McQueen was celebrated in two Fashion in Motion events at the V&A, giving visitors the chance to see his designs live on the catwalk. 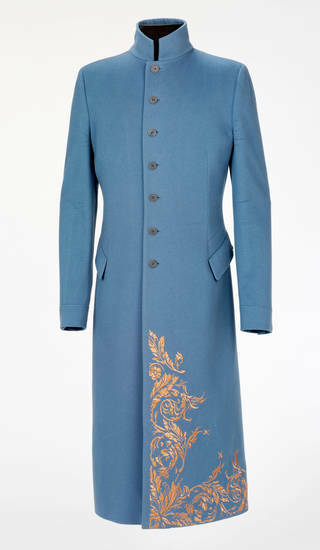 The varied objects in the Museum's collections – from textiles to woodcarvings – were a direct source of inspiration for the designer, who once said, "The collections at the V&A never fail to intrigue and inspire me". 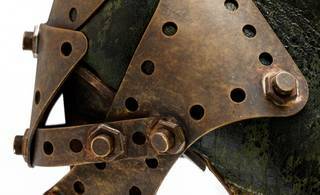 Explore the hidden stories and craftsmanship behind some of the most remarkable objects made by Alexander McQueen and his creative collaborators.